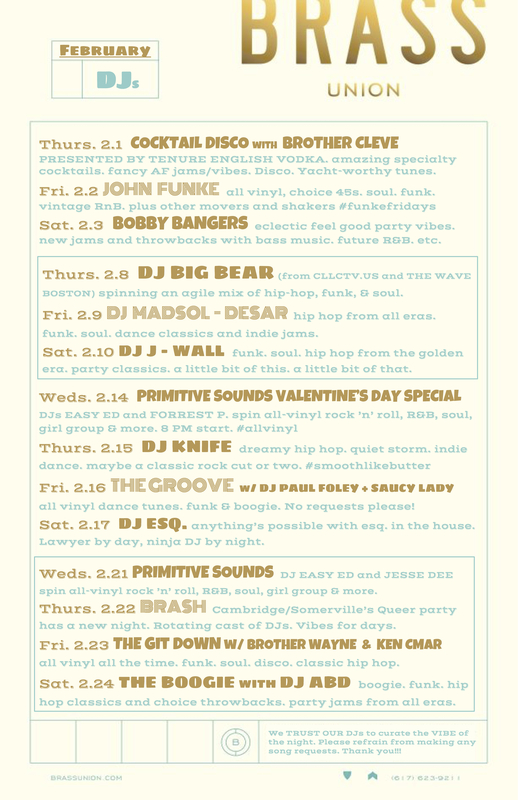 Brass Union is one of my favorite places to DJ and hang, and it’s a honor to be able to curate the DJ schedule. I am proud to say I’ve never once played “Despacito” there. It’s a fun spot because you get a little more leeway to be yourself than in other weekend venues. There’s a still a responsibility to keep it relatable and danceable, but the overall vibe of the place rewards the well-timed risk, whether it’s a ’90s alt-rock chestnut, a classic house record committed to the back of our brains, or a dope Fleetwood Mac remix. Stuff like that would never fly on a Saturday night at most venues, but for some reason it all works in the mix at Brass Union. It’s an amazing feeling to lay some 116 – 120 BPM sweetness on ’em and let it ride for a while without falling off a cliff. I’m excited to get some old friends back on the decks this month, and look forward to taking the controls myself on Saturday, February 10. Check out the full schedule below (click on the image to zoom in). Fresh from a week off in Costa Rica, I’m excited to get back to work. 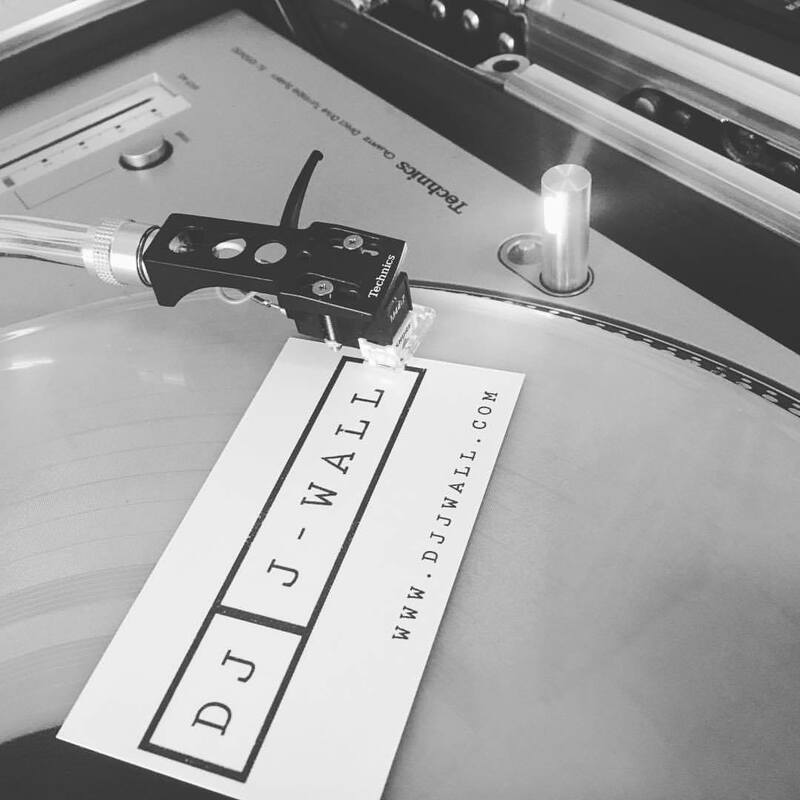 February may be a short month, but it’s busy one in the world of DJ J-Wall. In addition to my regular spots – Mondays at the Milky Way, Thursdays at The Druid, & Fridays at Foundry on Elm – I’ll be making the rounds at some of my favorite weekend haunts. Also it’s a busy one for summer planning, mainly booking weddings. If you know someone getting married that needs DJ, holla! Here are some of the month’s highlights. 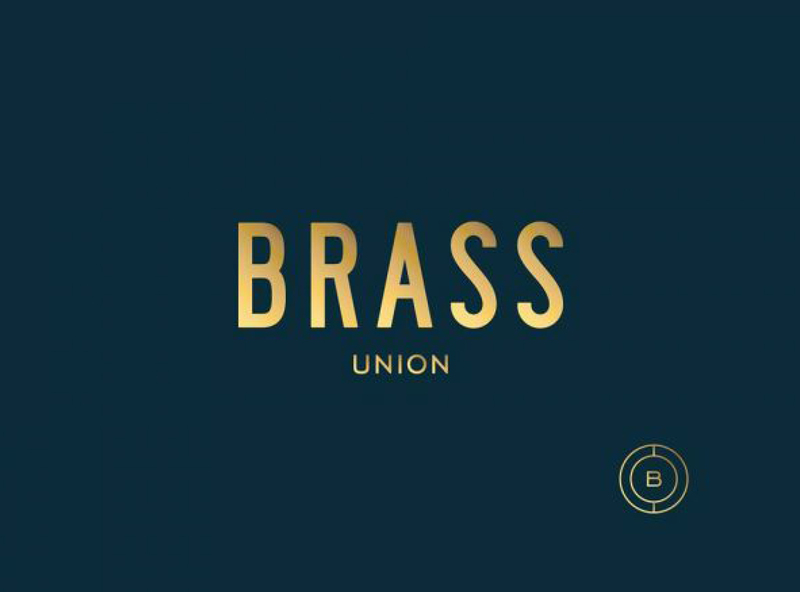 Saturday, Feb 10 – Brass Union (Union Square, Somerville) 10 PM to 2 AM – Music: Totally open format but danceable. This is where I can be myself and (mostly) get away with it. Sunday, Feb 11 – Galentine’s Brunch at City Tap Boston (Seaport Area, Boston) 11 AM to 3 PM – Music: All female artists! Lots of ’90s and early ’00s vibes. Saturday, Feb 24 – Aeronaut Brewing Co. (Union Square, Somerville) 8 PM to Midnight – Music: Rock, funk, throwbacks and party jams, pretty much anything is possible. For a full list of gigs be sure to check out my dates page. Working DJ Blog: Where do I get my music?